Three years ago Northwestern looked destined for new highs under coach Pat Fitzgerald after a ten-win season, including the first bowl win in over sixty years. Since then, the Wildcats have gone 5-7 in back-to-back seasons, which as you know also means no bowl game. Now, the program looks prepared to slide back to pre-Fitzgerald caliber, and it’s only fair to wonder if this program’s best days with Fitzgerald are behind them permanently. 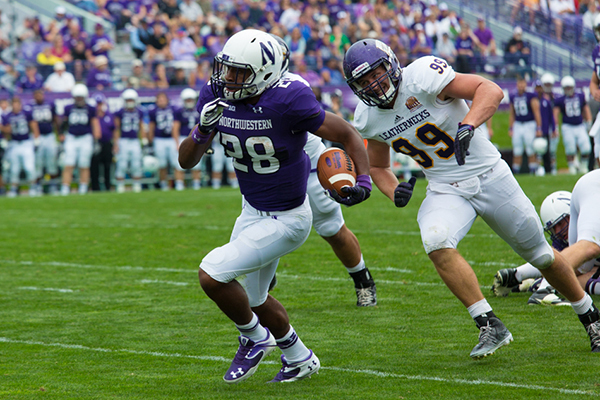 Justin Jackson ought to be a key player at running back for the Wildcats for the next two to three seasons. Jackson rushed for 1,187 yards and 10 touchdowns as a true freshman, and proved tough to bring down in the process with 660 yards after contact. He was so good last year that he is already drawing comparisons to Hall of Famer Marcus Allen. One of my, and the rest of the 4 Down staff’s, biggest pet peeves is the overzealous draft comparison, so forgive me for not going that far just yet, but he has been pretty good so far in his college career. 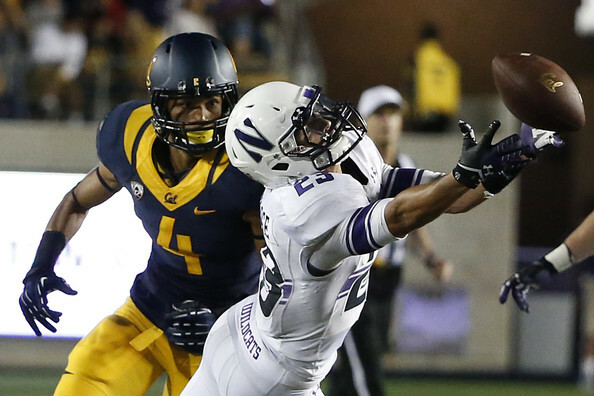 Northwestern has plenty of experienced options at receiver, but none will be a more welcome sight in training camp than Christian Jones. If absence really does make the heart grow fonder, than Jones will be a sight for sore eyes after missing all of 2014 with a knee injury. Jones had 668 receiving yards in 2013, which tops what any individual receiver did last season. He will get help in the receiving corps this season from fellow seniors Dan Vitale, Cameron Dickerson and Miles Shuler. The Wildcats also get to count themselves among the many teams entering training camp with quarterback questions. Redshirt freshman Clayton Thorson is considered a favorite to start by many, but senior Zach Oliver would be the more experienced option. The other guy vying for the job is sophomore Matt Alviti. We know about the same amount about Thorson and Alviti entering the season considering Alviti only threw four passes last season and completed two of them for a whopping zero yards. Alviti and Thorson both probably have more upside than Oliver, and thus one of them likely to win the job, unless Pat Fitzgerald is afraid that he could lose his job, in which case he may go the safe route and start Zach Oliver. Losing three players with over 100 combined starts from a line that already wasn’t good is generally not a good sign, and this Northwestern offensive line is probably not going to be an exception to that rule. On the bright side, there are three player left over that have started ten or more games, and five total with some starting experience. Left guard Adam DePietro is widely considered the top lineman on the team, despite having only one career start to his name. Experienced and talented corners should be the strength of this defense even with plenty of experience coming back all over the defense. Nick VanHoose and Matthew Harris were a tough duo to throw on last year recording a combined four interceptions and 17 pass break-ups. Traveon Henry also returns at safety where he topped the 50 tackle mark last season. Godwin Igwebuike may technically be a new starter at safety, but he still had 43.5 tackles, three interceptions and three pass break-ups in eleven games last season. The Wildcats should also enjoy the luxury of having experienced starters across the front line, including Sean McEvilly who has missed the last two seasons because of foot injuries. Dean Lowry is the main playmaker up front. The senior had eight tackles for loss, four sacks and broke up eight passes last season. Anthony Walker is another defender who has an opportunity to be a real difference maker at middle linebacker. 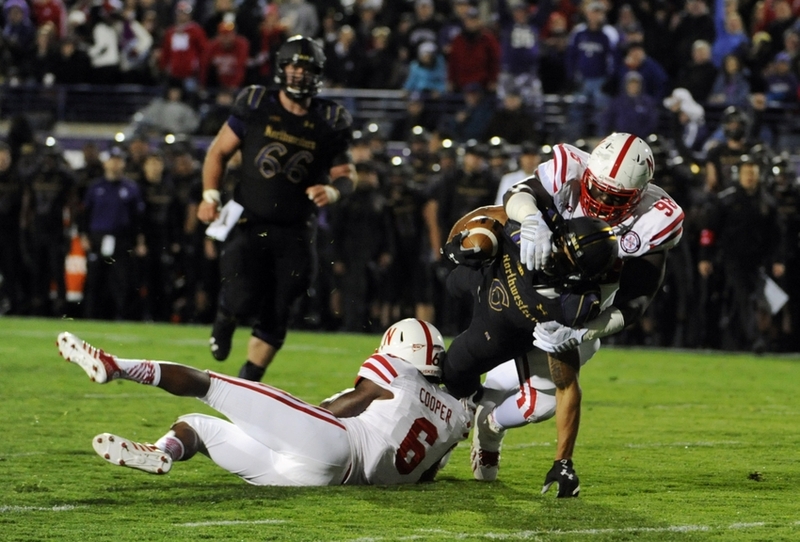 Walker had nine tackles for loss, two interceptions and three pass break-ups as a true freshman last season. He and Drew Smith are the only returning linebackers who played in all twelve games last season, so they will need to lead the way for the less experienced backers who work their way into the rotation. All in all, this team has the experience and playmakers on defense to be a decent group, and Justin Jackson is blossoming into a legitimate star at running back. However, this schedule is pretty tough, and there are still major question marks on the offensive line and at quarterback. Stanford and Duke are probably superior “smart school” football programs at this point, which probably means that Northwestern comes out of non-conference play at 2-2. The Wildcats do avoid Ohio State and Michigan State, but things still won’t be easy, and the best potential sources for conference wins come in November with a home game against Purdue and the season finale at Soldier Field against Illinois.